This is supposed to be based on OECD Statistics, but the post missed Indonesia and Switzerland on top of India. India is 3rd in list not 1st. Please find more details at the verification section of this article. 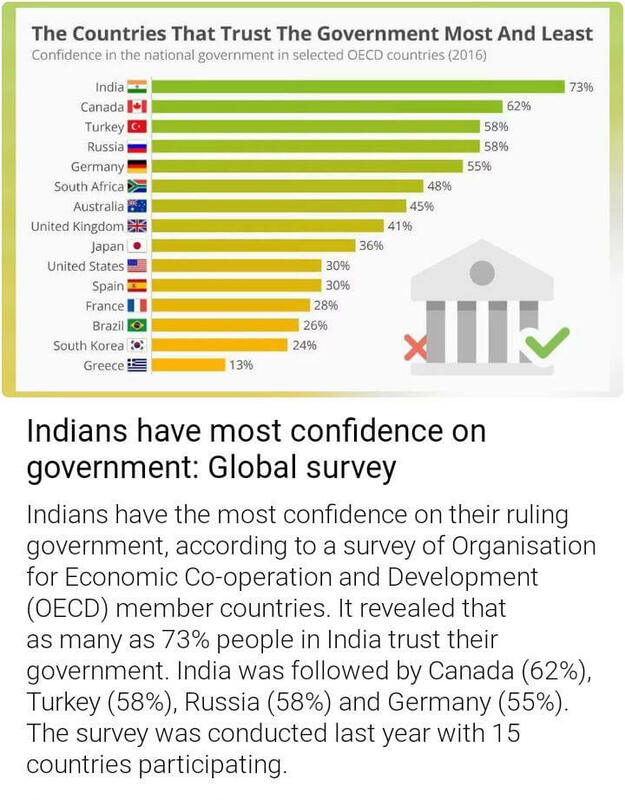 Global survey Indians have the most confidence on their ruling government, according to a survey of Organisation for Economic Co-operation and Development (OECD) member countries. 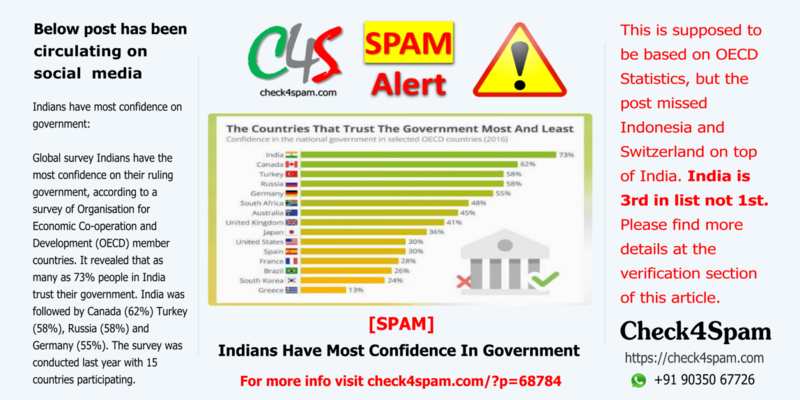 It revealed that as many as 73% people in India trust their government. India was followed by Canada (62%) Turkey (58%), Russia (58%) and Germany (55%). The survey was conducted last year with 15 countries participating. India is 3rd in the list. Also please note that India has gone down from 80+% in 2007 to 70+% in 2016. Page #217 of the below document has the values.